Fish, chips and fizz a plenty celebrating Falmouth’s Community Heroes. Humbling and fun evening. 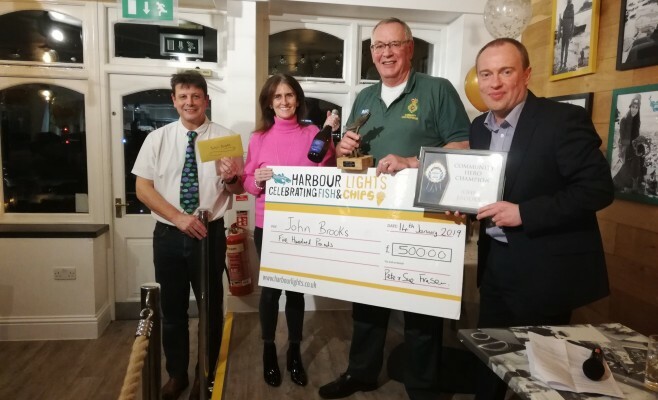 Congratulations to John Brooks from Falmouth Community First Responders, Kirstie Edwards from Plastic Free Falmouth, Michelle Bray from Tanya’s Courage Trust – Supporting Young People with Cancer and a special recognition awards for the Student Ambassadors FXU Falmouth University. Hundreds and hundreds of voluntary hours given to support Falmouth.